You’ve just made it through the disruption of a major winter storm. Don’t let the endless chores of cleanup and repairs rob you of precious time. If there was major damage, professional wind & storm damage repairs are an absolute must and they need to be completed before bad weather returns. We’re experts in water damage restoration services and wind damage repairs with a skilled and well trained crew to quickly and correctly return your home or business to its prior condition. Our 24/7 emergency services include everything from debris cleanup to storm damage reconstruction. There’s never really a good time to take care of debris cleanup, recovering scattered yard furniture, and dealing with downed limbs and branches. Let our crews take care of that for you. Do-it-yourself repairs aren’t a good idea if there was possibly structural damage or the potential for leaks, safety hazards, or health risks. Our professionals are experts in what to look out for as well as all facets of proper cleaning and damage restoration. Including deck & patio repairs. It doesn’t take a hurricane to cause major damage. Any extreme weather –wind, hail, torrential rain, or flooding — will do. And it’s not just a matter of wind speed — direction , gusting, turbulence, and flying debris all play a role in destruction. An old tree can come down at just about anytime. Our storm damage repair process begins with an inspection for hidden damage and an assessment of the full situation. As necessary we’ll then begin with temporary board ups and tarp overs to protect the structure and its interior. Replacing a few shingles, roofing repairs and re-roofing are perhaps the most common wind damage repairs. Commercial metal roofing isn’t impervious to wind and hail, and seemingly minor dings can lead to corrosion and leaking not too long down the road. Whether your roof is shingles, asphalt, metal, or tile we’re ready. Storm damage repairs also often include siding and windows. Our expertise includes window repair replacement as well as repairs for siding (wood, aluminum, and vinyl) and stucco walls. If a tree has crashed into your home or businesses our services extend to re-framing and complete storm damage reconstruction. With broken windows, roof leaks, gutters backing up, or ground flooding there’s the potential for water damage. And a sewer backup is clearly a major water damage and sanitation problem. 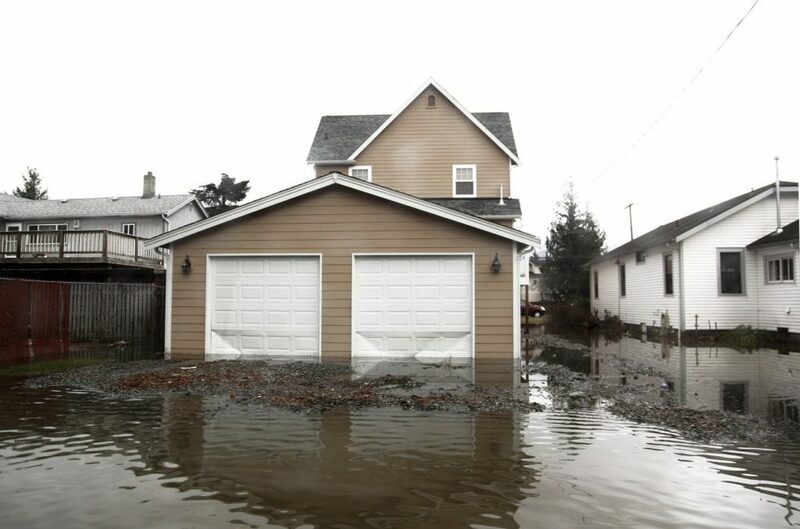 Our flood damage repair teams can handle it all, then follow up with skillful repairs or in extreme situations tear-outs and reconstruction. Water stains or a little mold may be the only clues that you have that there is trapped dampness that will soon lead to warped or splitting wood, disintegrating drywall, and loosening nails and screws. Excess moisture also quickly leads to major mold and bacteria outbreaks. So if you have any doubts or concerns, let our certified water damage restoration specialists inspect the building. Our water restoration teams have all the equipment, experience, and training it takes to rapidly dry, dehumidify, and deodorize the building and its contents. That keeps water damage repairs to a minimum. Our arsenal of equipment includes water extraction gear, refrigerant dehumidifiers, and ozone generators. Should mold become a problem, our team includes certified mold remediation & removal specialists. We’re a fully insured and licensed general contractor with technicians certified in a wide range of residential and commercial water damage restoration specialties. With ongoing training and the latest equipment we’re always up to date. From a quick assessment to reconstruction our 24 hour emergency services have your wind & storm damage needs covered. 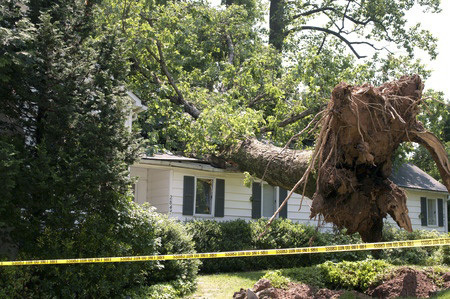 Weather-related damage is usually covered by home owner’s insurance. Drawing from our many years of experience we’ll work directly with your insurance company to save you the headaches and smooth your claims process.